It didn’t take too long to put some capital to work and add shares from one of the companies on my latest dividend watch list that includes a handful of what I consider to be undervalued stocks. While the market has not been quite as crazy as what we saw in October, it looks like there are still going to be plenty of buying opportunities for the patient investor. With that said, let’s take a look at my latest purchase. 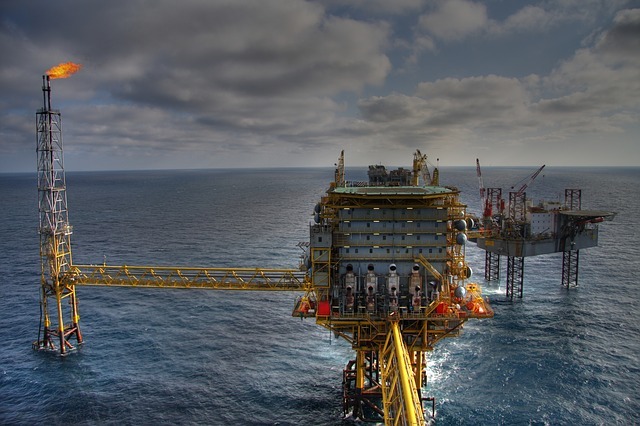 Exxon Mobil Corporation explores for and produces crude oil and natural gas across multiple countries, including the United States, Canada, and Europe. Just a few days shy of 20 years ago, Exxon and Mobil had agreed to a deal to merge and form the company Exxon Mobil Corporation. The deal took one year to close and included their agreement to sell over 2,400 gas stations across the United States, which was required by the Federal Trade Commission. This was the largest divestiture ever required by the FTC and the 11-month review was one of the longest ever–understandable given the top two companies in the industry were merging. Exxon Mobil was formed in 1870 and is headquartered in Irving, Texas. Exxon Mobil has a long history of increasing their dividend and have been rewarding dividend investors with consistent dividend raises for 36 years. Reviewing Exxon Mobil with Simply Safe Dividends, we see that their dividend is considered to be quite safe. While they have had a high payout ratio over recent years, that is expected to decline. In addition, the company carries very little debt relative to the sector and maintains a healthy Net Debt to EBITDA of 1.02–which measures how many years of EBITDA would be required to pay off all debt. Taking a look at FAST Graphs, XOM appears to be fairly valued if not a bit over-valued compared to their normalized P/E ratio. As you can see, the steep decline of the P/E began in 2014 and bottomed out in 2016 which coincides with the oil crash that occurred in 2014. Exxon Mobil has had mid to high single-digit dividend growth for much of the last decade, although that slowed in the last year to a more conservative 3% growth. For a long-standing company like Exxon Mobil with a dividend yield that is north of 4.0%, I typically like to see dividend growth of 5-8%. Earlier this year they announced a 6.5% dividend raise which puts them squarely back in that range. As mentioned on my dividend watch list, I was targeting a price below $80/share and had missed the movement in October as I was busy deploying capital elsewhere. Rather than chase the price, I remained patient and was rewarded today with the opportunity to add more shares. You’ll see below that I broke up my purchase in two orders. Lately I have been buying in multiple lots to take advantage of prices that move lower after an initial buy, although my range here was much narrower than normal. The 20 shares purchased at an average price of $78.00/share will add an additional $65.60 in forward dividend income. Overall, this increases my position in XOM to 40.203 shares. After achieving my forward dividend income goal, I reset the bar and am continuing to chip away with reinvested dividends, dividend raises, and new capital being deployed. My PADI, or projected annual dividend income, now stands at $5154.01. That leaves me with an additional $345.99 to go towards my revised goal. With my purchase price of XOM @ $78.00/share, I was able to capture a 4.21% yield and that is 19.6% above their 5-year average dividend yield. 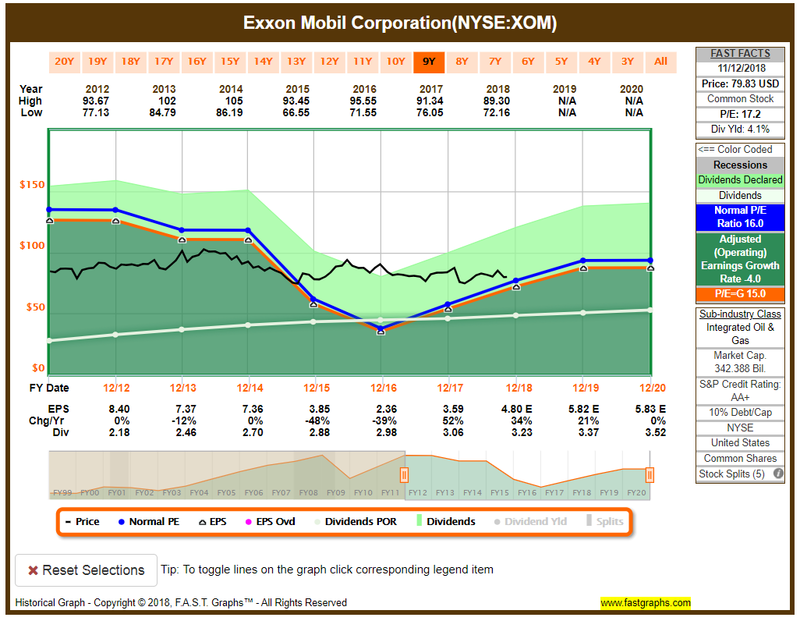 From my perspective, I think anything under $80.00/share represents a fair value for Exxon Mobil right now. The company certainly has made some strong bets on their future, and that hasn’t necessarily sat well with shareholders as of late. I believe that many people have been expecting them to use their growing free cash flow to initiate a share repurchase program, however Exxon Mobil management has decided to invest in their growth when CEO Darren Woods announced a 7-year major growth program that would include significant increases in capital spending. That is a bold move while others in the sector have been on a nice ride, Exxon Mobil has been fairly flat. However, should their plans come to fruition, they will be extremely well positioned while their competitors are playing catch-up in a few years. For the time being, I am happy to add to a solid blue-chip company at a fair price. What do you think of Exxon Mobil? I like XOM. I don’t own any currently, but wouldn’t mind having them in the future. That whole industry/ sector typically has higher dividend yields so you will be nice to see those dividends coming in and being reinvested. Should be a pretty safe long term hold for you. Nice buy. Thanks DD, there are quite a few nice options in the sector and look forward to collecting those dividends. It would have been nice to see them do more than a 6.5% raise this year given the types of raises we have seen, but I don’t want them to overextend either. Agreed, and I will be keeping my eye on to potentially add a little more should they continue to drop. Right now my target would be closer to their 52-wk low, so something in the $72-73 range but happy to add a little here. Heck yes and do love them at these prices as well, great yield and great history! Thanks Lanny, and keeping a close eye out today as there is lots of red so far–which means there might be more attractive buying opportunities ahead! An excellent company at a fair price. You can’t go wrong with that! XOM is one of my larger positions in my portfolio. Nice purchase. Keep grinding toward that $5,500 PADI goal! Thanks Kody, and thanks for noting that XOM is one of your larger positions. Here’s to it continuing to build our dividend snowball! Added to them today 🙂 May continue to add if their price falls. This price and this yield is excellent for them. Enjoy those Divvys! That’s great Bert, happy to hear you were able to add some shares too! As the price dipped down below $76/share, I was keeping a close eye to see if it would continue down towards where I would like to see it before I continue nibbling. It is hard to complain about that yield though. Look forward to reading about your purchase! Thanks Y&I, I do believe that the capital investments that they are making will position them well moving forward as they begin to ramp up their production. I think there may still be further pullback in oil prices and will continue to watch for another opportunity to add if the price continues to recede. Thanks for the info on XOM. I’ve had my eye on it for a while, and almost pulled the trigger, but ended up putting a little more into IBM when it dipped, instead. XOM however, continues to be on my watch list. Great, informative post! Thanks Jim, appreciate that feedback and glad you liked the post. I’ve seen quite a few across the DGI community adding IBM recently, and hope the RedHat acquisition does well for them. I’m still on the fence with their long-term outlook but am keeping an eye on them as well. Thanks for stopping by Jake, and I agree with you on XOM. They just announced a new deal for wind and solar energy as well, and I like seeing them working in the renewable energy space as well as that will help that long-term perspective. Yep, anyone with a potential stake in renewable energy is worth considering. Thanks for replying, Pops.